personali o siti dedicati agli animali, ai bambini, divertenti e festivi. "Complimenti, il suo eccellente sito ha vinto il Mylo Award Gold"
contenuti e popolarita', ottenuto con il punteggio di 26/30. "Your site scored very well, we are pleased to present you our Award"
per essere segnalato su q-design.org.."
"Congratulations, you have won a "Gold" award for your superb web site. I will be proud to have a Planet Gif award on such a quality site." 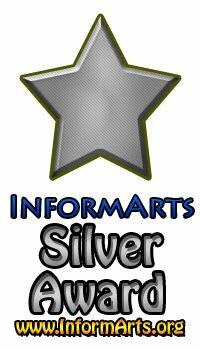 is informative, unique and has won this prestigious award. Hawaii City - Web masters"
and chosen to bear the 2001-2002 Golden Web Award"
and chosen to bear the 2003-2004 Golden Web Award"
give you the Resource Site and Education Awards"
sono molto ben approfonditi ed estremamente interessanti. Un sito "must" da visitare per tutti"
as a Bronze Award Winner of The Lynx Award for this month. "..Your site is most deserving.. Keep up the great work. You are an asset to the internet community."